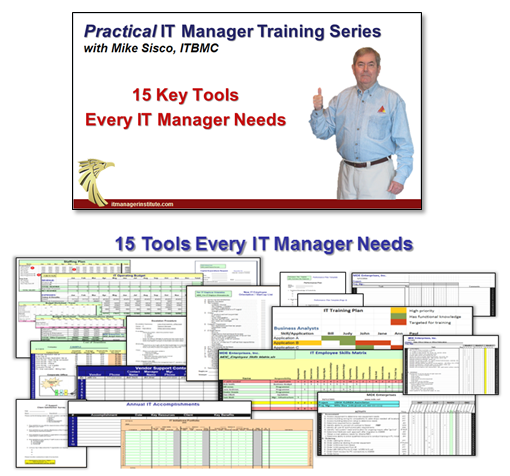 If you are looking for help in conducting an IT due diligence or assessment, you have just discovered the most comprehensive set of practical materials and tools in the industry. How do you conduct an effective IT assessment? It’s pretty simple, actually, , , if you have a process to follow, tools that help, and you know where the “pressure points” are. I developed an IT Due Diligence and Assimilation Process™ and tools to help me conduct more than 40 company acquisitions. Without these resources, I could not have managed the rapid acquisition pace we were taking in one particular company, , , we were an “acquisition machine” and acquired over 35 companies within 5 1/2 years. That’s right, we grew this little $30 million company to over $650 million in revenue by acquiring companies in our industry niche, , , that’s almost 80% growth every year. This process and tools literally “saved my skin” as the CIO of the company. As the CIO, I had a vested interest in being able to conduct a quick and thorough assessment of new company business needs and issues and technology support capabilities. Knowing what the issues, risks, and opportunities were helped me plan and implement smooth transitions of the technology resources and support company departments depending upon technology to meet their objectives. Had I not developed these tools and process, I would have created significant problems and additional cost for our company. For example, key employees stayed with us during these transitions because I knew who they were and implemented initiatives proactively to “lock them in”. The important issues surrounding an IT assessment are not understanding all the details of the technology. There is simply not enough time even if you had the ability to understand it all. What’s important are tangible business issues that have technology implications and your team’s capability of supporting these business needs. 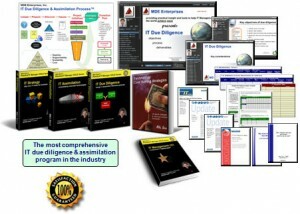 My IT Due Diligence and Assimilation Manager BUNDLE includes several products to give you the full extent of my experience and “know how” in this area. 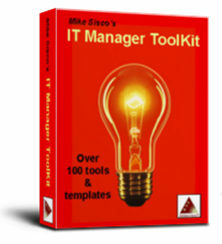 It is by far the most comprehensive product suite for this topic you will find. A quick, 20-minute overview of IT due diligence and the process I use is the best way to get started. You can also use this session to present to others in your company about the importance in conducting a thorough IT due diligence to support a company acquisition. This one hour flash presentation gives you an excellent perspective about the process of conducting an IT due diligence, how it fits into the overall due diligence effort, and what’s important. Reviewing this presentation will establish a solid foundation for the rest of the material. I learned a lot in conducting an IT due diligence to support over 40 company acquisitions. This presentation gives you 25 specific tips about the “gotchas” you need to be aware of and key insights from an acquisition veteran. 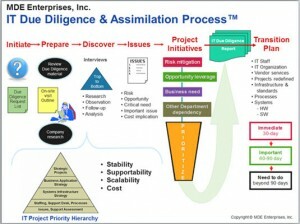 This graphic depicts the entire process of conducting an IT due diligence and planning the transition activities. They say, “A picture is worth a thousand words.”. This process provides an executive management perspective of what will take place and is an excellent tool to use when discussing the process with others. 3. Provide tools and examples to help you get started quickly. It’s just as important to know what to do after the deal is completed. This ebook and tools will help you implement a smooth transition of the technologies and in supporting other departments of your company with their initiatives that have technology implications. Developing a transition plan is a key part of your acquisition and this ebook will help you develop a plan that’s in sync with your business and focused on company needs and issues. In any acquisition, you want to find financial leverage opportunities. This ebook and tools will help you quantify cost savings in the company and positions you to be a hero in helping your company leverage the new company purchase. 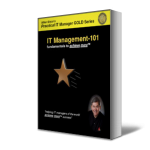 Basics are always helpful and this book is referenced by over 500,000 IT managers around the world. The actual tools I use when conducting an IT due diligence or technology assessment. There are over 20 tools in all. Each tool includes instruction and examples to help you use them right away. Plus, they are provided in WORD and EXCEL file formats so you may modify them as needed for unique situations. Learn about my experience of conducting due diligence on a company with ten different organizations, all with different technologies and IT organizations scattered across the United States. This experience was only accomplished effectively because I had already developed a due diligence process and tools that worked. These tools and process were invaluable to me and they will be to you as well. Our Company was Just Purchased; What Do We Do Now? This is a question that gets asked quite often as company acquisitions occur at a rapid pace. If you are going to conduct due diligence on a company, it helps to understand what is about to go on in the IT staff’s mind when they hear their company has been or is about to be acquired. Key insights from real world situations. I’ve written quite a lot about IT due diligence. We have included 4 bonus Cutter Consortium Reports to compliment and add value to this program. Quick reading helps you hit the high points of this important topic. You don’t want to miss this one. 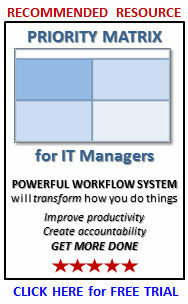 It takes you through my IT Due Diligence Process and more and is an excellent 22-page quick reference tool. Can IT Due Diligence Make a Difference in M&A’s? A multi-article journal that has several perspectives and points of interest on the importance of IT due diligence in mergers and acquisitions. 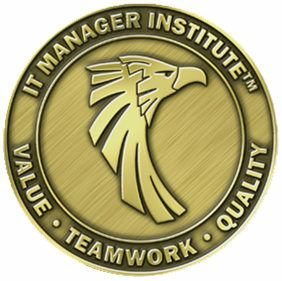 A short article about assessing your IT situation and the importance it has in achieving success in any IT manager role. Get up to speed quickly on what is needed to conduct an effective and efficient IT due diligence along with how to transition an acquired company’s technologies to support your company’s business operations smoothly. Reduce the risk associated with an acquisition and increase the leverage opportunities when you know what to do, where to look, and how to assess the situation. 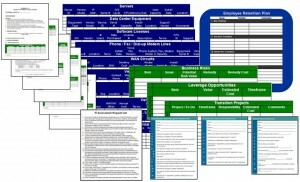 What you learn in these materials can be worth thousands of dollars to your company so take advantage of them now.